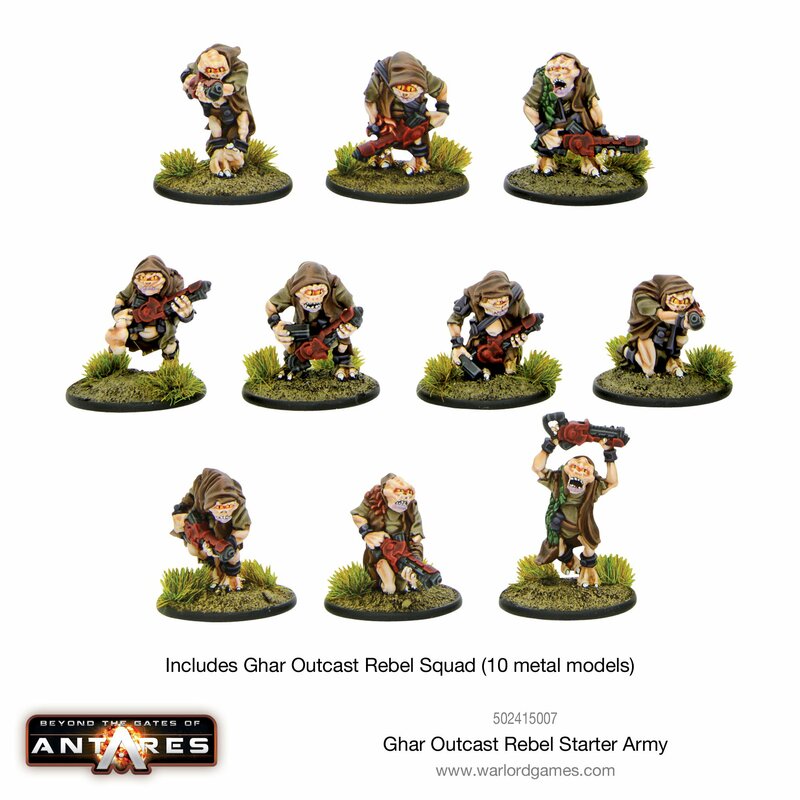 Warlord Games haben die neue Ghar Outcast Rebel Army Box und ein erstes Set einer neuen Fraktion in ihrem Shop. IMTel urges you not to be alarmed. Transient/Transit Observation Report 563 in system Taskarr identified as originating IMTel collapse along Southern Interface. System is interdicted for well-being: C3 intelligence NuHu Jai Galeyous has identified Virai Dronescourge, eight nine quantum. 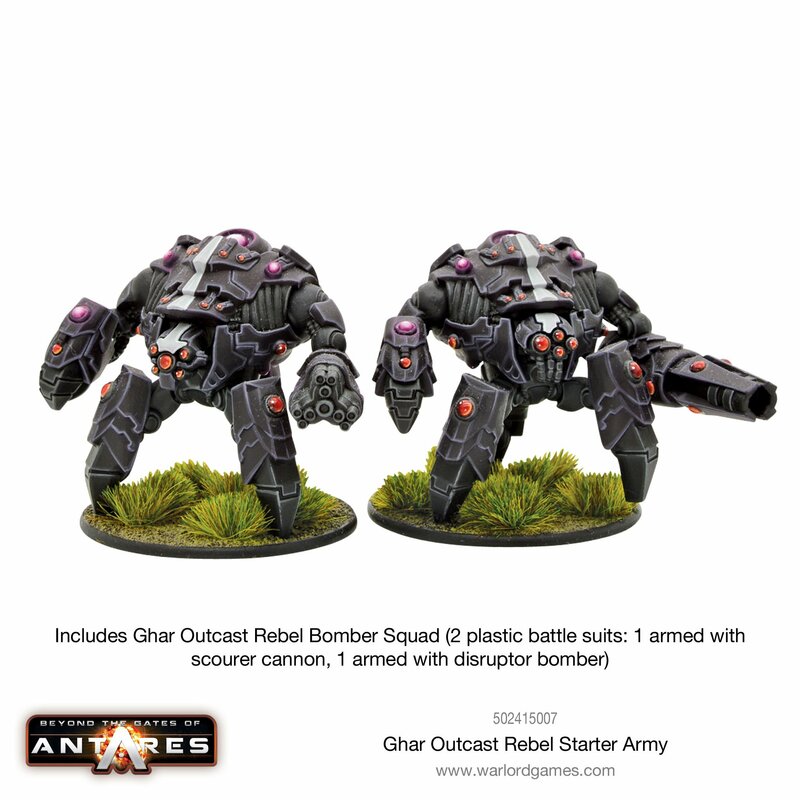 Current drones identified as Warriors (eight five quantum Bodyguard/Hive Defender class) and Crew Constructors eight eight quantum. Bodyguard/Defender weaponry: crude multi-mode, ranged fusion device and power vices/claws. 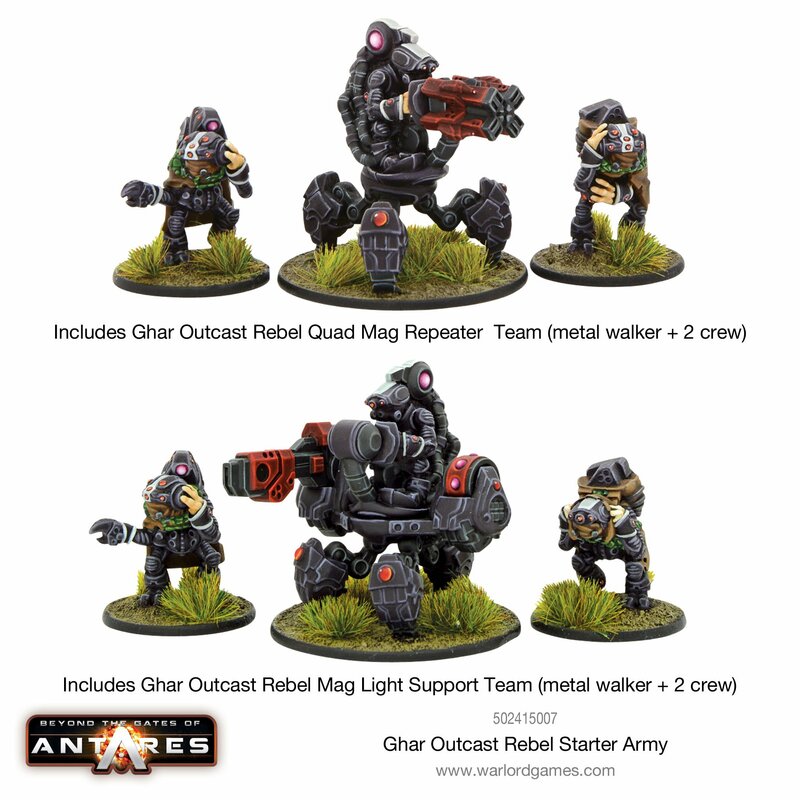 Crew Constructor: short range fusion cutters usable as weaponry and dangerous tool appendages; Crew also known to scavenge panhuman mag weaponry. Presence of Constructor and Warrior indicative of nearby hive. All panhuman and machine intelligences advised to be wary of architector command elements, long-range STAA targeting enhancement probes and massed warrior/constructor forces. Prime targets for defense recommended as Tertiary Supervisor and Secondary Instance command elements: capture requested of First Instance Hive commanders. 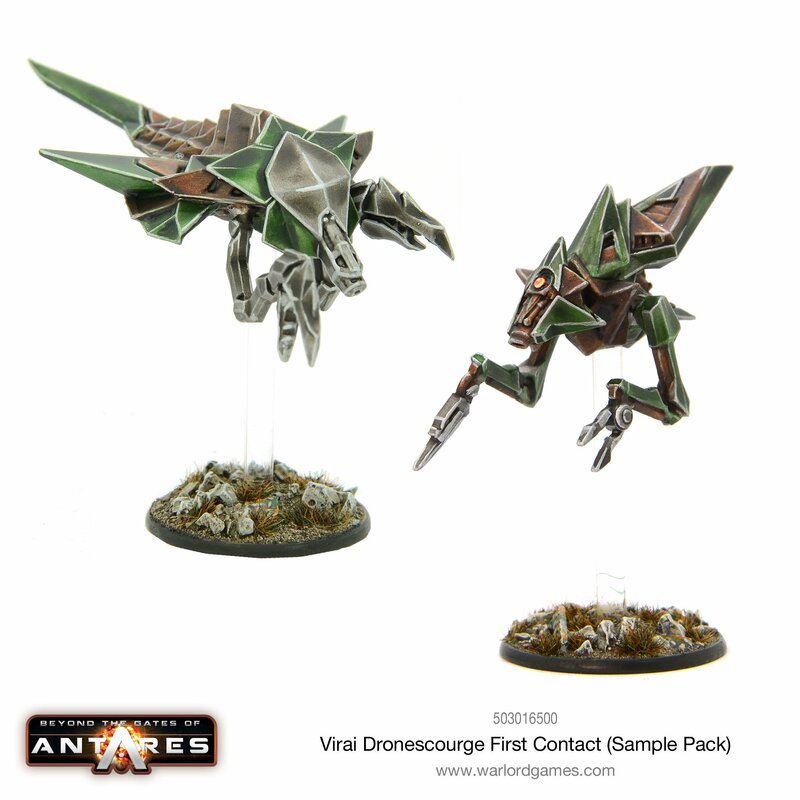 Virai Dronescourge highly hostile to biologics and both immune and destructive to nanosphere. IMTel values your health and well-being. Recommendation: evacuation of all Dronescourge infested systems and request C3 assistance. 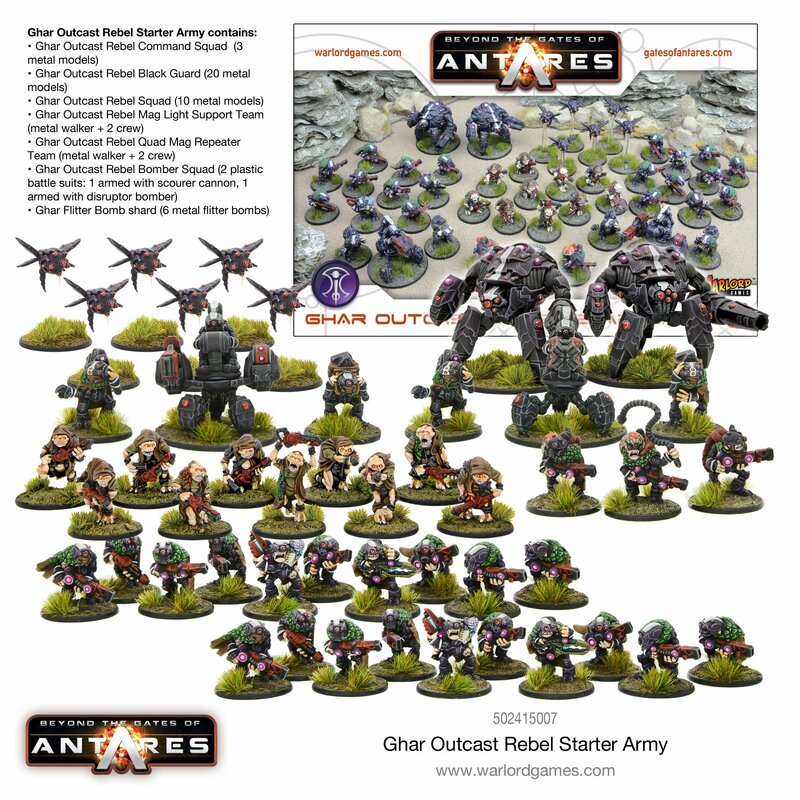 The Ghar Empire is torn asunder by rebellion! 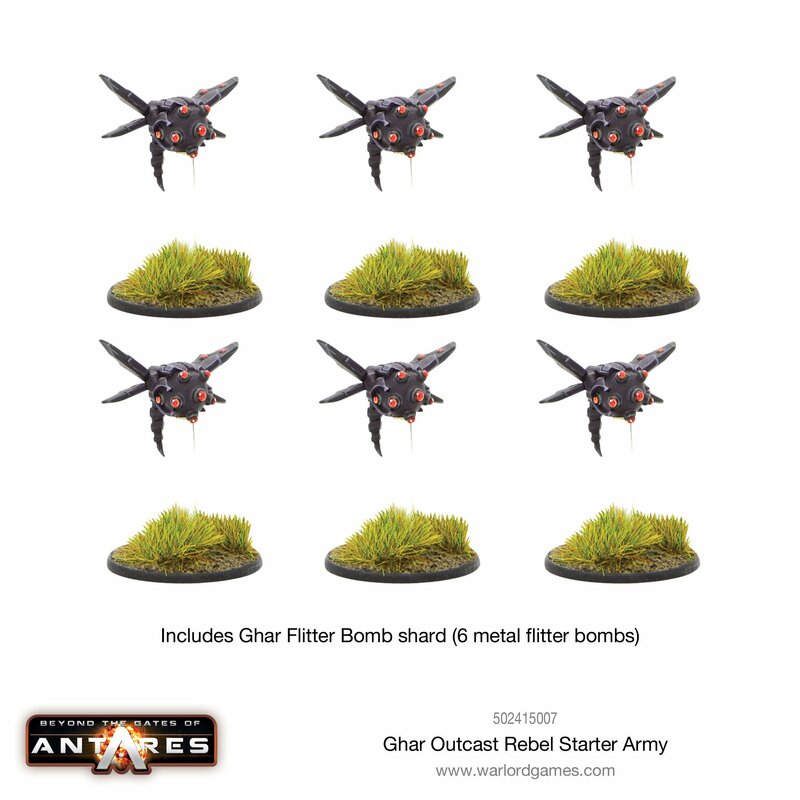 From the world of Gharon Prime the Supreme Commander despatches his vast and powerful armies to track down and destroy the rebels. 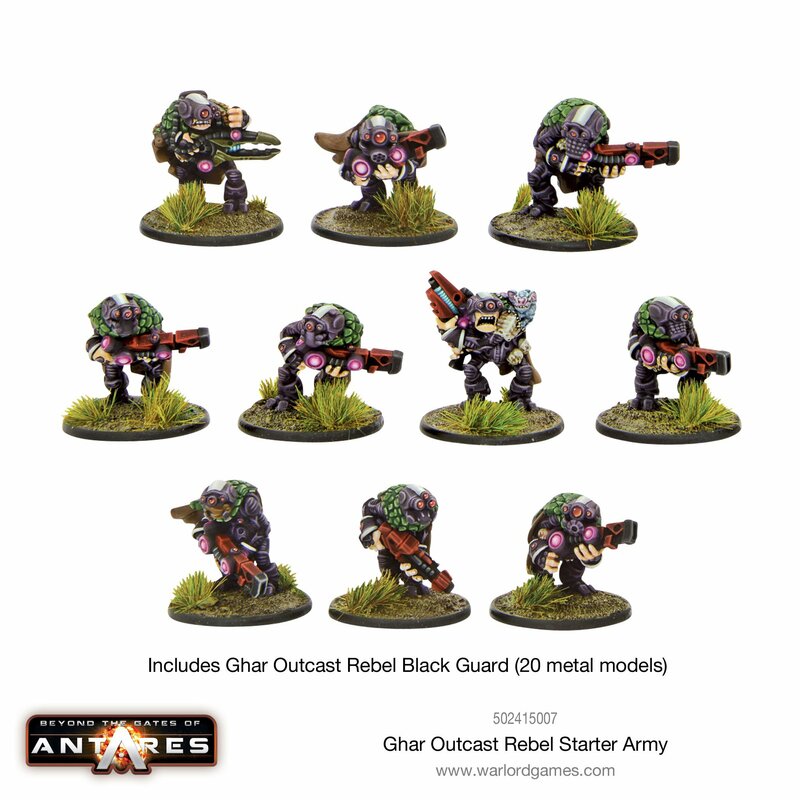 Alas, even the best and most favoured of the Ghar Commanders is no match for this ragged army of mere Outcasts led by the most notorious and dangerous of them all – the former commander and now disgraced Fartok! 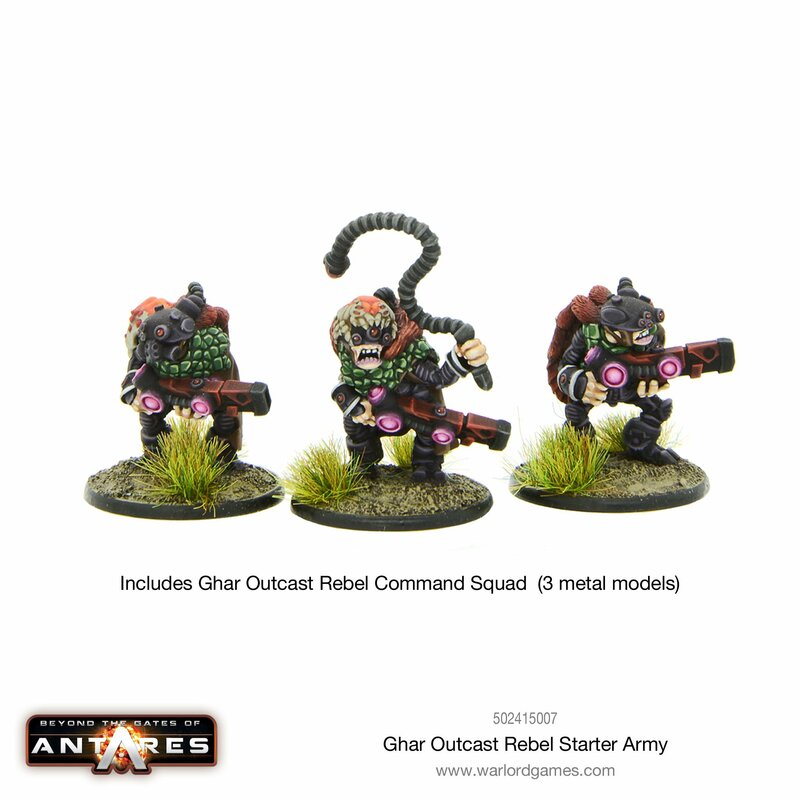 Even more frustratingly for the Supreme Commander, the rebellion grows stronger every day as more Ghar flock to join the ranks of the Outcast Rebel Army. 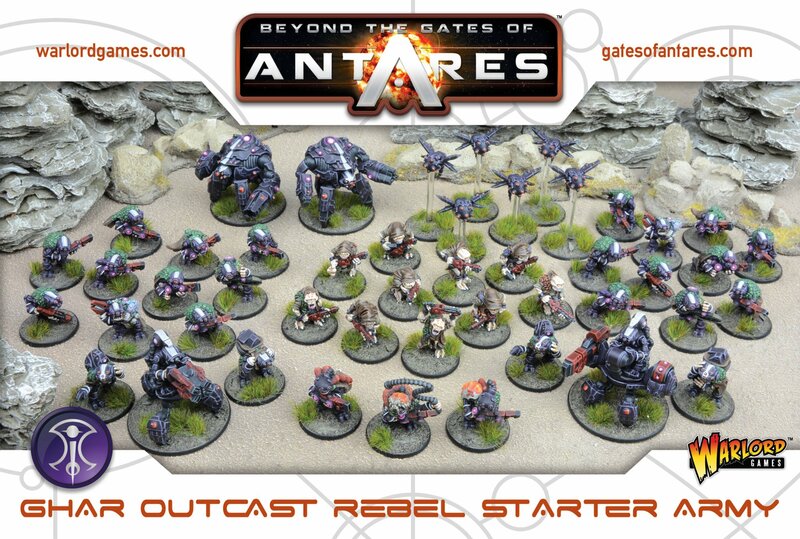 Their numbers and their power grow with every strike upon an Empire bastion and every raid on an Empire supply convoy. Using weapons and equipment looted from the forces sent against them, they now represent a formidable and determined force.